For a few days I've been trying to come up with something new to place in the apothecary jars which are on a tea cart in our foyer. I asked my husband if there are any acorns we can gather in the area. We live in a newer neighborhood without a lot of large trees, so searching the neighborhood or our own back yard wasn't going to work. 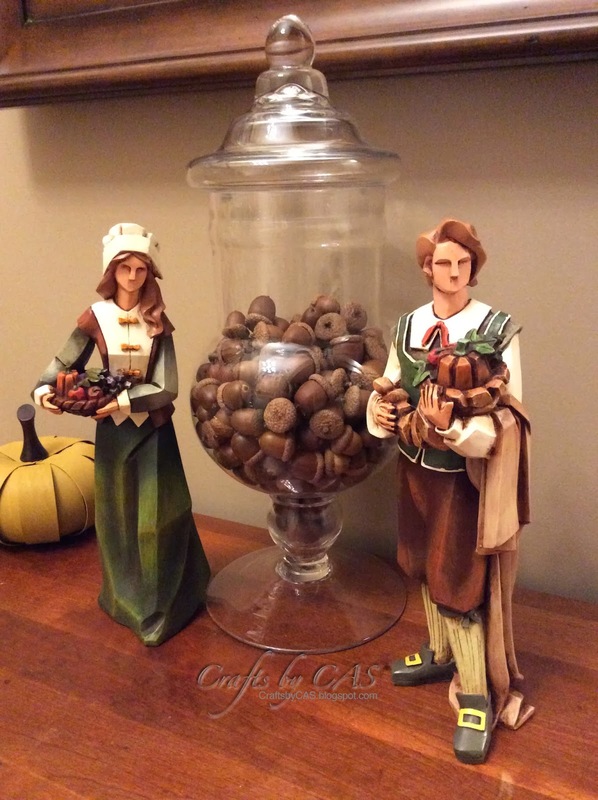 I let the nagging acorn thoughts leave my head for about a day when my DH came into my craft room and showed me a post on Facebook made by a mutual friend. 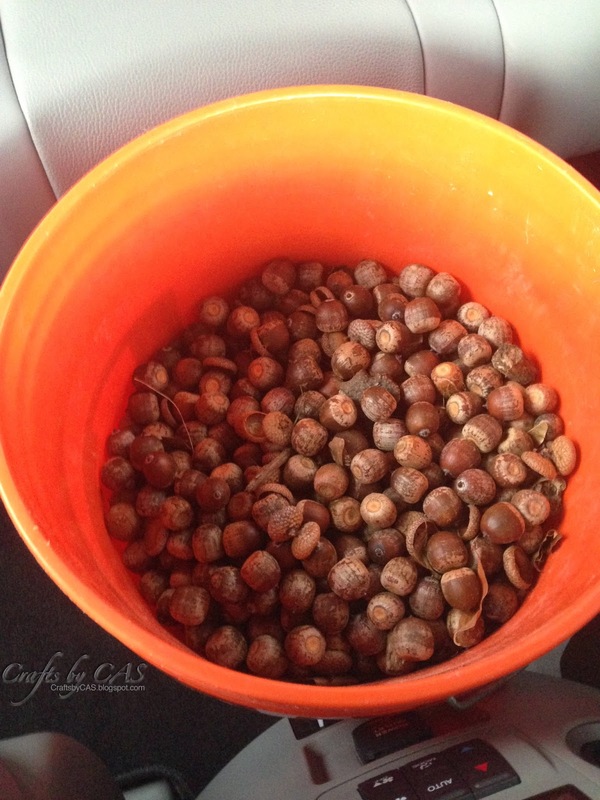 His caption: "28 bags of leaves and 1 bucket of acorns"!!!!! SCORE! One persons Saturday lawn chores turns into my craft projects for Fall! I started by wiping the acorns with a damp cloth to remove the dirt, and set them on a foil lined baking tray. As almost all of the acorns were separated from their tops, I made sure there were approximately the same amount of each. I baked them in a 200 degree oven for two hours, gently shaking the trays every 30 minutes to prevent burning. This helps remove moisture and any hidden bugs (which I had read about). After cooling, I simply hot glued the tops to the acorns. I plan to keep these for future decorating, so I may spray them with clear enamel before putting them away for the season.